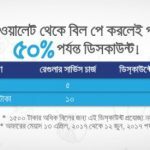 Bangladeshi biggest telephone operator Grameenphone all valuable users are eligible GP 1GB 89Tk Offer. It is one of the biggest offer for all GP users. This offer are used in all time active customers. 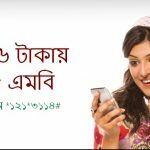 Even this offer are used in all GP active prepaid and postpaid customers.If you enjoy this offer please read this article and follow the instruction. 1GB 89Tk (Exclusive of SD+VAT+SC) valid till for 8 Days. This offer is valid in 8 Days. Enjoy this offer please dial *5000*502# or recharge only Tk 89. This offer in use in 24 hours. 1GB 89Tk Offer will continue until the further notice. This offer are eligible in all GP prepaid and postpaid customers and can be used upto 10 times within campaign period. Check internet balance please dial *121*1*2#. 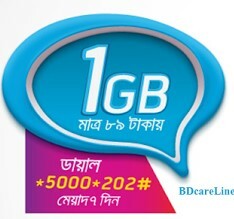 GP 1GB 89Tk Offer are one of the biggest internet offer in Bangladesh.Have you any question?please comments the bellow.We will try to best to solve your problem.All GP customers are thanks for stay with us.